by Dan Simmons, published February, 2009 by Little, Brown and Company. This work of historical fiction begins at a scene of death and destruction, the Staplehurst railway accident. In 1865 Charles Dickens had a brush with death when the train he was traveling on went over a bridge undergoing renovation. Dickens’s railway car barely made it over the 42 foot gap in the tracks. Other people weren’t as lucky. Ten people died and forty were injured. The imagination of Dan Simmons paints a horrific picture of this very real accident. And then he adds a little something to the mix. That something is named Drood. The novel’s narrator is Wilkie Collins. 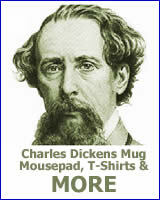 Collins was a real person and a close friend of Charles Dickens. Today Collins is best remembered as an author who helped develop the mystery genre. His best-known works are The Woman in White and The Moonstone. Again, it’s difficult to know where the truth ends and the fiction begins. Collins really was addicted to opium and was convinced that he was accompanied by a ghostly twin. (Simmons must have rubbed his hands together with glee to have such fantastic source material.) How did Collins feel about his older and more successful companion? What lengths did Collins resort to in order to feed his addiction? This nearly 800 page novel takes the reader through varied settings in Victorian England. 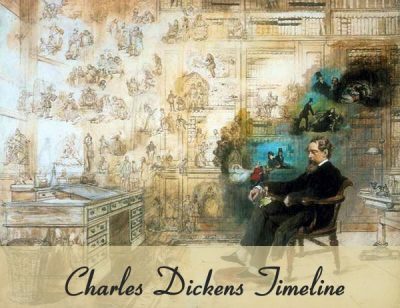 Dickens and Collins follow the Drood’s path through opium parlors, an underground city and even to Dickens’s home at Gad’s Hill Place. For me the book started out as a Victorian mystery. About halfway through it read more like a horror novel. While I like both types of fiction I found the change in emphasis disconcerting. I think that this book will have niche appeal. I recommend it for fans of Charles Dickens or Wilkie Collins. The novel’s dark tones reminded me a little of The Meaning of Night by Michael Cox. 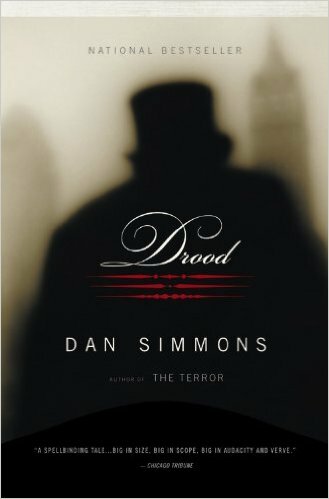 Fans of that book might appreciate Drood’s similar mood.